ParisDailyPhoto: Like an Italian in Paris! 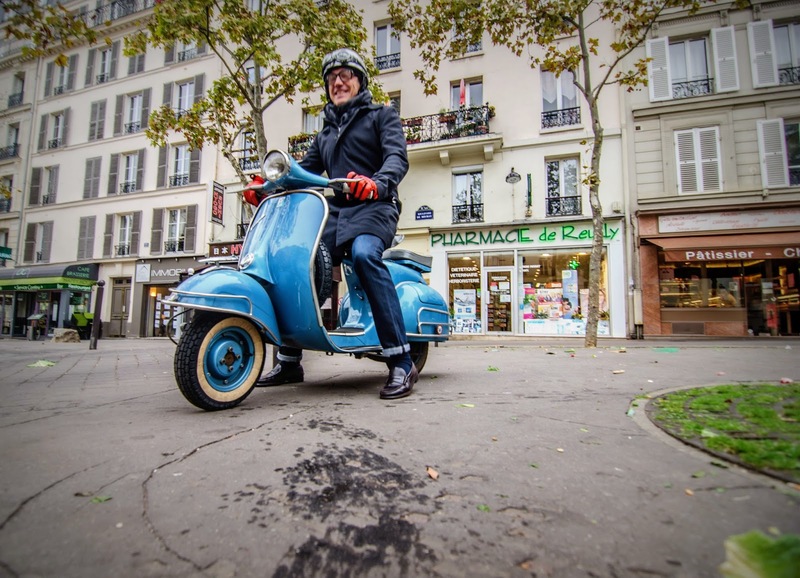 No I did not take this photo in Rome nor Florence, but it's a real Italian on a real Italian scooter in Paris ;-) I could not help but dig out my camera and shoot! That comes in handy in the city. Quite a colourful scooter. How did you know that he is a real Italian? Because I spoke to him! Eric probably asked him, I know I would have. Timeless snap. Nice portrait! Did you send him a copy of the photo?